Need an attorney for a bicycle accident case in Jasper? As a bicyclist in Alabama you have the right to be out on the roads without having to worry for your safety. Unfortunately, there are some people who driver carelessly and are not considerate to the safety of bicyclists on the roads. If you were riding your bicycle down the street and you were hit and injured by a negligent driver, then you could be eligible for compensation. Here at Warren & Associates, LLC we have been serving injury bicyclists and other injury victims in Jasper for over 23 years. If you have sustained serious injuries in a bicycle accident then we can help evaluation the damages and seek the full injury settlement that you deserve. Allow our firm to assist you throughout this difficult process. Call us today for a free case review and find out how we can help you! Why do bicycle accidents happen? The main issue with bicycle accidents stems from negligent drivers who are not being cautious and looking out for bicyclists. Many drivers change lanes without really looking and they run into a bicyclist who is riding on the side of the road. Other times drivers make a turn without looking both ways and they hit a cyclist who is riding across the intersection. Many times the bicyclist is abiding by all the traffic laws and may even have the right of way, but drivers just don't take the time to check to make sure the road is clear. Searching for an attorney for a bicycle accident case in Jasper? 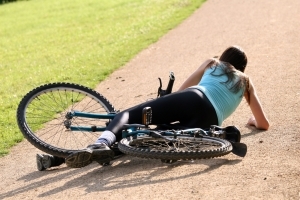 Here at the firm we take on all types of personal injury cases including bicycle accident cases. Our Jasper personal injury lawyers have extensive trial experience and we are dependable advocates in your time of need. We represent bicycle accident victims in Jasper and all throughout Walker County and we have recovered millions for previous clients. Contact Warren & Associates, LLC today to schedule your free consultation and get started on your case today!